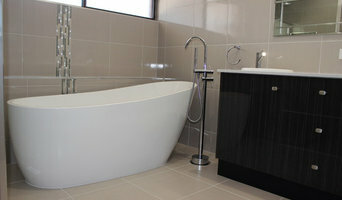 We are a boutique award winning builder specializing in Design and renovation. We are uniquely placed in our area with our own award winning designer in house. Titan Homes has been a trusted company of superior home building and maintenance since 2003. Titan Homes have adapted easily to the ever-changing trends and market demands. Through quality workmanship, dedication and personalised friendly service, we have built a reputation for prestige and dependability and have an outstanding record of unique craftsmanship and satisfied clientele. We offer flexibility, more choices and welcome as much input from the clients as they choose. Together with unlimited client inspections, we are always at your service. Whether it is new homes, units or renovations, the team believe that specialist service and attention to their client's requirements, creates the ultimate working partnership and provides the most desirable outcome for the client’s needs. We invite you to enquire with us today about what we can do for you and your building requirements. 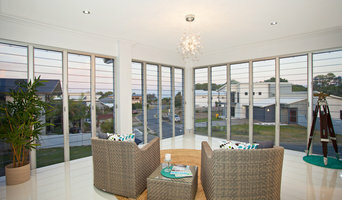 Hi, My name is Jarrod Cullen and I am a local licenced builder. 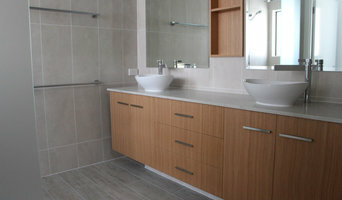 For over 15 years I have been providing high quality building and renovation services in the Mackay region. During this time i have built a solid reputation for being trustworthy, reliable, having excellent craftmanship skills and providing value for money renovations. I am on-site everyday, working hands-on on the projects. Giving our clients peace of mind knowing they are only ever dealing directly with myself throughout the process. We are accountable and guarantee all of the work we produce. I work with a highly experienced team of professional tradespeople, who are licensed, hard-working & polite. As an experienced and respected specialist renovation company we have the knowledge that gives our clients the peace of mind & certainty that their property transformaiton is in the hands of a local builder who delivers constantly at a high standard. Please give me a call today to arrange a site visit to discuss your project. BH Building in Mackay specialises in small-scale building projects and concreting. 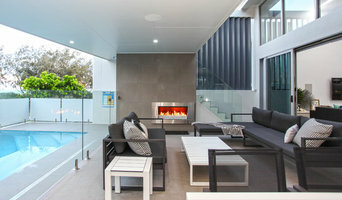 Our builders can assist you with decking, patios, kitchen and bathroom renovations, pool surrounds and much more. Fully insured and licensed, we have extensive experience with Mackay building alterations for both domestic and commercial applications. Our team are certified for all carpentry work and we’re a member of the Housing Industry of Australia (HIA). You’ll experience personalised service with our team at BH Building. We’ll listen to your specific needs to gain a greater understanding of your property’s requirements. Our project management service allows us to oversee the progress of your property and organise any subcontractors for your convenience. For a free quote on our building alterations and carpentry work, give us a call today. We service Mackay and surrounding rural regions of Central Queensland. At Look Sharp Rendering we have a professional team who will provide you with a high quality finish. Our friendly team are dedicated to providing you a personalised service so that results are tailored to your needs. This means the person who gives you your quote will be the person who does your job and they'll do it from start to finish. At Look Sharp rendering our name says it all and by the end of our job your property will look better than ever. Whether you’re undergoing home renovations or building from scratch, hiring the right home builder is essential. Your choice will determine the quality of craftsmanship, as well as how high your stress levels rise! 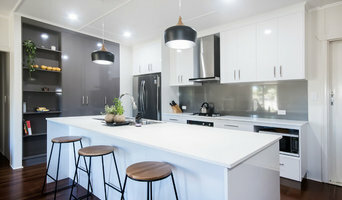 A home design or building project is a huge and multifaceted undertaking, so it’s important to find a local Mackay, Queensland builder you can trust to bring your vision to life and keep the process under control. The Houzz professional directory of home builders is a great starting point to choose the right builder for your needs. What exactly do Mackay, Queensland home builders do? Before any nails are hammered down, construction companies perform market research to determine whether the prospective site for a new home in Mackay, Queensland makes sense. They also survey the land to make sure it is suitable for construction, and obtain any necessary Queensland permits. Scroll through this page to find contractors in Mackay, Queensland. Then, click on a professional to browse photos of their latest projects and see how their work compares to the scope of your project. Read reviews to see how other homeowners rate their work, and message the home builder or construction company directly to ask any specific questions.